Theology and Religious Studies expert member in the Romanian National University Research Council (CNCSIS) and in the Executive Agency for Higher Education and Research Funding (UEPISCU) for the Coordination of the Strategic project Doctorate in Universities of Excellence - Research Assessment and Support for Scientific Publishing (www.ecs-univ.ro) which assesses the research activities in Romanian universities. Life and Mind. Perspectives on the Human Condition, Theodor Damian, Richard Grallo, Bert Breiner (eds. ), Sophia Institute - Theotokos Press, New York, 2013. Trairea in Cuvant [interviews, in Romanian], Eikon, Cluj, 2011. Philosophy and Literature: A Hermeneutic of the Metaphysical Challenge [in Romanian], Ed. Romania de Maine, Bucharest, 2008, 134 pp. Introduction to the History of Christianity: The First Millennium [in Romanian], Ed. Romania de Maine, Bucharest, 2008, 140 pp. The One Who Rises from on High (meditations, in Romanian), Viata Crestina, Bucharest, 2006, 118 pp. I co-edited and published The Romanian Literature of Diaspora (Vol. I, Nr. 1/2005), Proceedings of the First Lumina Lina/ Gracious Light International Symposium. The Spiritual Implications of the Theology of Icon [research, in Romanian], Eikon, Cluj, 2003, 218 pp. The Passion of the Text [essays, in Romanian], Universalia, Bucharest/New York, 2003, 222 pp. The Icons. Theological and Spiritual Dimensions According to St. Theodore of Studion [Ph.D. diss., revised and expanded], The Edwin Mellen Press, Lewiston, NY, 2002, 316 pp. The Dew of Books: A Theological Hermeneutic in Literary Context [essays, in Romanian], Danubius, Bucharest, 1998, 202 pp. The Icons. Theological and Spiritual Dimensions According to St. Theodore of Studion [Ph.D. diss. ], Ann Arbor, MI, 1993, 377 pp. Lazăre, vino afară, Junimea, Iassy, 2016. Ein Fallen selbst im Steigen, Lyrik [German], Ludwigsburg, Germany, Pop Verlag, 2015, 88 pp. Singurul dincolo [The Only Beyond], Rawexcoms, Bucharest, 2015, 46 pp. In casa fulgerului [In the House of Lightning], Opera Omnia, TipoMoldova, Iassy, 2013, 431 pp. Apofaze [Apophases], Editura Tracus Arte, Bucharest, 2012, 150 pp. Semnul Isar/ The Isar Sign [bilingual Romanian and English], Editura Calauza, Deva, 2011, 228 pp. Prayers in Hell, Trafford Press, Vancouver, Canada, 2010, 102 pp. Shenja e Isart [The Isar Sign, Albanian], TipoMoldova, Iassy, 2010, 120 pp. The Isar Sign, PublishAmerica, Baltimore, MD, 2010, 109 pp. Exerciţii de Înviere [Resurrection Exercises], Universalia, Bucharest, 2009, 122 pp. Stihiri cu Stânjenei [Stanzas with Irises], TipoMoldova, Iassy, 2007, 88 pp. Semnul Isar [The Sign of Isar], Paralela 45, Bucharest, 2006, 112 pp. Poesias [Spanish], Lumina Lina, New York, 2005, 102 pp. Nemitarnice [Unbribables], Dionis, Botosani, 2005, 138 pp. Ispita ranii [The Temptation of the Wound], Limes, Cluj, 2001, 120 pp. Rugaciuni in Infern [Prayers in Hell], Axa, Botosani, 2000, 104 pp. Calea Imparatiei. The Door to the Kingdom [bilingual Romanian and English], Timpul, Iassy, 2000, 138 pp. Dimineata invierii [The Morning of the Resurrection], Axa, Botosani, 1999, 120 pp. Lumina Cuvantului [The Light of the Word], Libra, Bucharest, 1995, 80 pp. The Liturgy of the Word [bilingual Romanian and English], Tremain, Klamath Falls, OR, 1989, 104 pp. Editor, Eminescu 2000. Aniversari NewYorkeze [Eminescu 2000. New York Anniversaries], (proceedings of the “M. Eminescu” Symposium), Botosani: Axa, 2000, 178 pp. Editor, Mai am un singur dor [I have one last wish] (proceedings of the “M. Eminescu” Symposium), New York 1995, 52 pp. The Interior and the Distant (poetry anthology) [in Romanian], edited by Theodor Damian and Aurel Sasu, TipoMoldova, Iassy, 2007, 214 pp. Altars: An American-Romanian Anthology of Poetry [in Romanian], Edited by Theodor Damian and Vasile Amarghioalei, Geea, Botosani, 2007, 410 pp. Romanian Medievalia. Proceedings of Presentations at the Annual International Congress on Medieval Studies at the Western Michigan University at Kalamazoo, MI, New York, since 2001. Newsletter of The Romanian Institute of Orthodox Theology and Spirituality, New York, 1993-96. Symposium, Proceedings of the Annual Theological Ecumenical Symposium, New York, since 1993. Dr. Damian serves as professor of Philosophy and Ethics in both the undergraduate and graduate programs at Metropolitan College of New York and served as the coordinator of the Staten Island branch of MCNY. In addition to teaching at MCNY since 1992, Dr. Damian has taught courses at St. Vladimir's Theological Seminary, the College of New Rochelle, and Spiru Haret University, Bucharest. He has served as a priest in Romania, as Dean of Dorohoi District and as a magazine editor. He is founder and president of the Romanian Institute of Orthodox Theology and Spirituality, New York, editor of one cultural magazine and two academic journals, a Senior Fellow of the Institute of Interdisciplinary Studies, Pasadena, CA, and of the Sophia Institute, New York, as well as President of the American branch of the Academy of Romanian Scientists. Professor Damian’s studies have been published in many national and international journals. He has also been the recipient of prestigious awards for his work in academic disciplines such as Philosophy, Theology, Ethics, Creative Writing, and Literary Criticism. 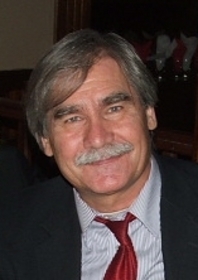 Dr. Damian has published over 30 books, as well as hundreds of articles and poems in both Romanian and English, in the United States and Europe. Among his books are Gregory of Nazianzus’ Poetry and His Human Face in It; Life and Mind. Perspectives on the Human Condition (Ed., with Richard Grallo and Bert Breiner); The Isar Sign; Prayers in Hell; Introduction to Christianity: The First Millenium; Philosophy and Literature: A Hermeneutic of the Metaphysical Challenge; and The Icons. Theological and Spiritual Dimensions According to St. Theodore of Studion. Dr. Damian has organized, presided and presented his research at over 100 national and international conferences.